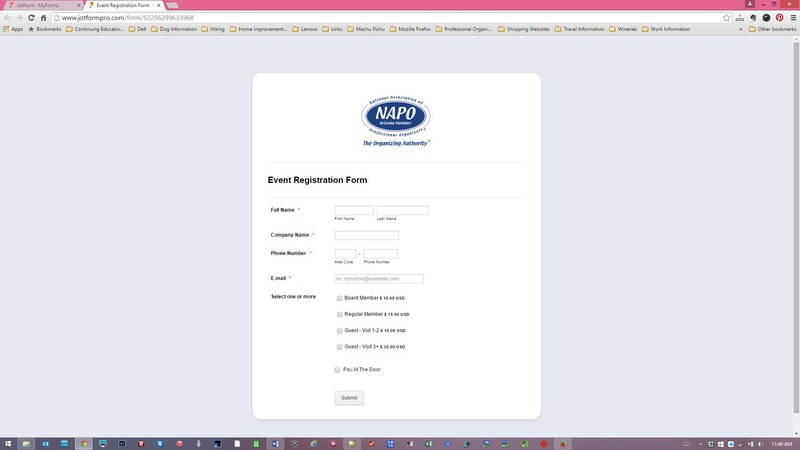 I need to create checkboxes on an event registration form. 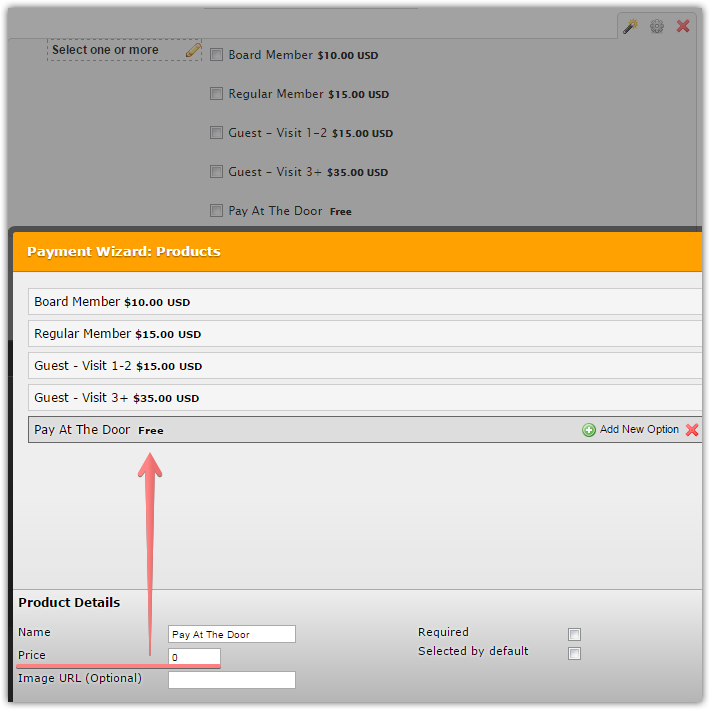 4 line items require a check box that needs to be connected to Paypal and the fifth line item requires a check box and the option to Pay At The Door. I couldn't find an option that allowed both payments and nonpayments to be included in the same form. So I used two different boxes to create what I needed. The problem is that the 4 paypal options are listed under each other and nicely aligned and the Pay At The Door option is slightly offset and not evenly spaced (verticlaly and horizontally) under the Paypal options. How can I fix this? I am not good with CSS alhtough I did manage to get all of the line items a little closer together by changing the padding. Let me please inform you that PayPal tool can accept products with 0.00 price. These products do not redirect users to the PayPal. I hope it helps in your case. Is there any way to get rid of the word "Free". My members need to pay at the door, so technically it is not FREE. We do need them to register, however, for tracking purposes and to purchase food for the meetings.